Cincinnati can be a daunting place for animators. It’s a city known for branding and advertising, weird chili and sports, but where do animators fit into that? With animation degree programs at so many schools and colleges in and around this city I thought it would be a good idea for the sake of all of us to start doing profiles of local companies that work with animators so our members and people who are shaping the educational landscape here can know what the professional field is like as they are considering a career in animation, or considering opening another animation program. The scene here is different from either the West or East coast. The industry here as I mentioned before is based upon advertising. On the coasts, or other larger cities in-between, the industry is fueled by advertising and also television, feature and game production. So there are a greater variety and number of employers in some other cities than there are here (thankfully, we're not one of the many cities with even less or no opportunity). Because of this narrow demand your approach to a local career may be different from your approach to one on the coasts. For this reason I will soon be starting a series of articles about local companies that work with animators and I will be publishing my findings for you, dear reader. Who are they? What do they look for? How many people do they use? How do they work with animators? What kind of skills/software do they look for? How will your portfolio be different? I will do my best to answer these questions (and more). 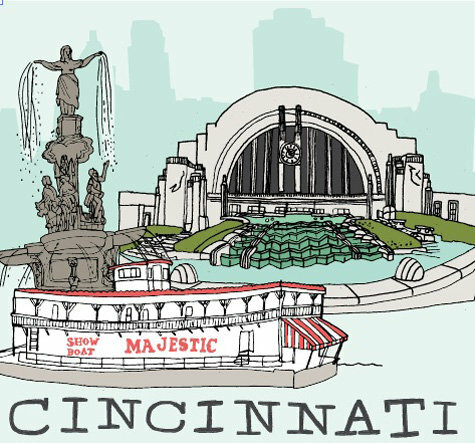 Coming soon, my first stop – Cincinnati’s own Epipheo. If you have a company that you would like more information about, send me (Darcy) an email at cincycan@gmail.com and I will see about adding them to the list.